It is June already, the 6th month of the year. This means the year 2017 is halfway and at the moment, we have seen many smart phone brands and OEMs release several devices. The mid-range smartphones, the high-ends, flagships etc are the different​ kind of smartphones we’ve seen so far this year. Samsung is a leading smartphone manufacturer, a top dog in the smartphone game and business. So far, for Samsung Mobile, 2017 has been a year of no jokes. The company have released quite a number of devices of which we would have a look at the best 5 below. The Samsung Galaxy S8 and S8 Plus are Samsung Mobile flagship devices for the year 2017. Both smartphones come with a one-of-a-kind super AMOLED screen with a unique and exciting “Infinity Display” feature. The Samsung Galaxy S8 Plus (6.2-inch) is bigger and of course better than the Samsung Galaxy S8 (5.8-inch). They both have the same camera lens at the front and back but you can check out the difference between the two devices HERE. The Samsung Galaxy J3 (2017) is a budget smartphone running on the latest Android Nougat operating system. Launched May 15, 2017, the Galaxy​ J3 (2017) boasts of a 5-inch IPS LCD Capacitive touchscreen, 5MP rear camera, 1.5GB RAM and a removable 2,600 Li-ion battery. The Samsung Galaxy A5 (2017) was luanched alongside the A3 (2017). It is bigger, better and faster than the A3. The A5 (2017) has a 5.2-inch super AMOLED screen, 16MP rear and front camera and a huge 3GB RAM and 3,000mAh battery with Quick charge technology. The Samsung​ Galaxy Xcover 4 is actually a different kind of deal of a smartphone. The Xcover 4 was designed and built for rugged outdoor use and extreme conditions. The Galaxy Xcover 4 has a 5-inch display embedded into the solid and rugged body of the device. 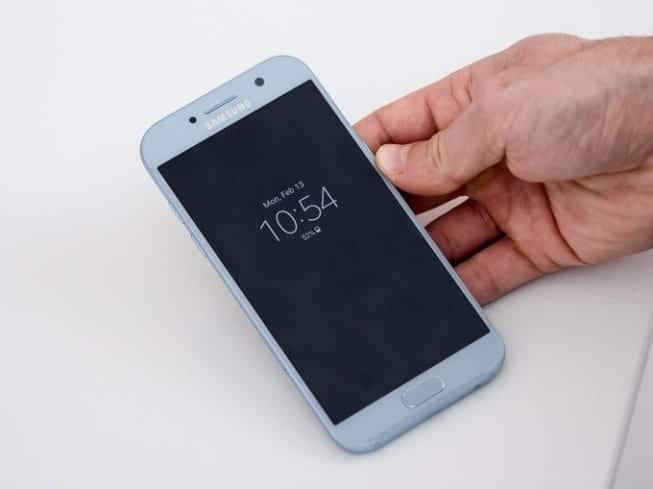 Android Nougat 7.0, 2GB RAM, Water and Dust resistance, 2,800mAh battery and 13MP primary camera are some of the few features of the Samsung Galaxy Xcover 4 smartphone. You can check out the full review and specs HERE. Which one’s your favourite? Or which would you love to own?